Perfect set for our game room. 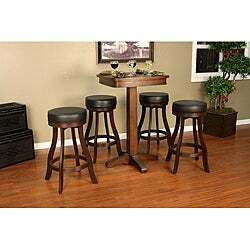 This five-piece wood pub table set features a table and four bar stools for a complete sitting area. Chat with your friends while using the square-top table for your food and drinks. 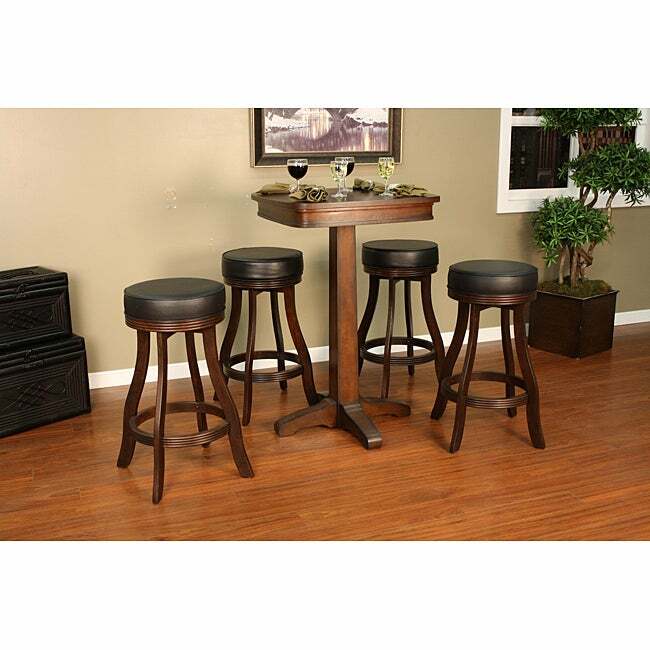 Backless stools make it easy to sit and stand, and their vinyl coverings are a breeze to maintain. The wood pub table set features a sierra finish to offer warm complementary pieces to your current decor. "I only need two chairs. If you sell it this way, what would the price be for two chairs and table?"